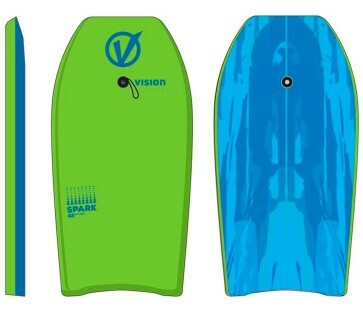 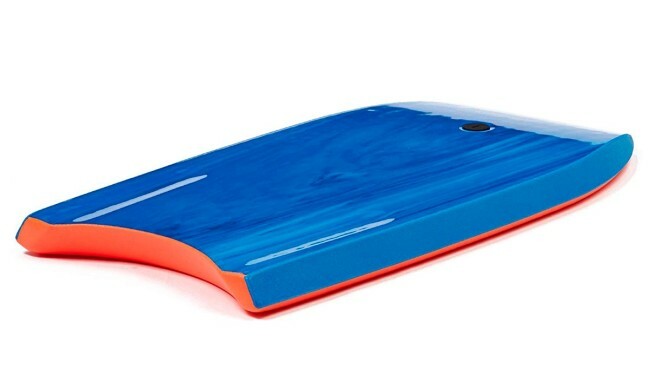 Vision Spark 42" Adult Bodyboard, includes leash, superb basic Slick bottom bodyboard with EPS core suitable for most adults. 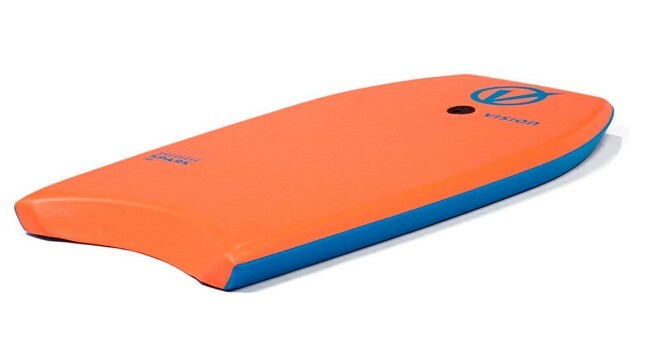 A standard Adult sized, 42 inch bodyboard, with a stiff, slick bottom for added 'slip stream', for increased speed and performance. 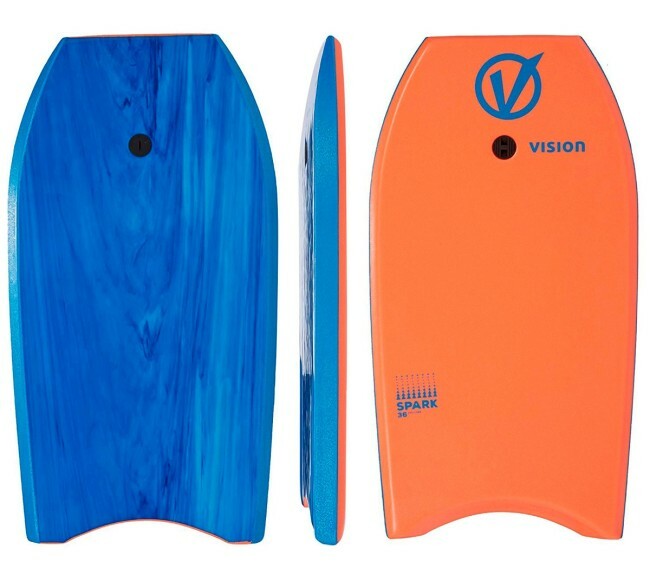 Features a crescent tail for added directional control and includes a standard straight wrist leash to keep it under control when you come off! lime green / blue 42"